The new tour dates begin on Halloween in Sin City (consider all the extra spooky ukelele opportunities!) — that’s after he returns from a Pearl Jam European tour in June and July, which will be followed by a few solo gigs while they’re there. In case you can’t make the new dates, though, the Pearl Jam website says you can get your tickets refunded. Glen Hansard of the Swell Season is still joining him on this trek. The new dates are available here. For now, we’ll all have to just settle for our copies of Ukelele Songs, that pro-mom charity compilation to which he contributed, and SPIN editor Steve Kandell’s cover story from last July on the Pearl Man. 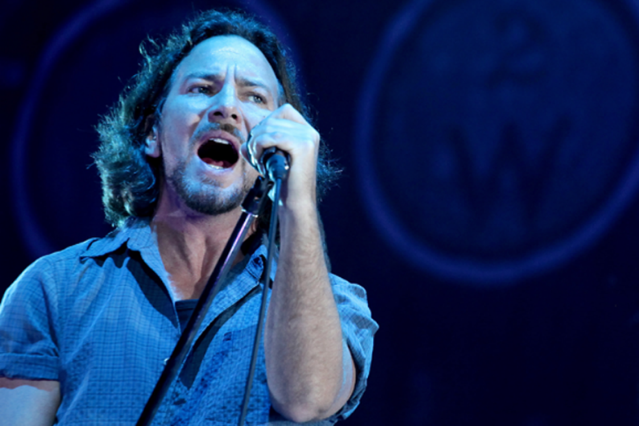 And, if you’re into that kind of thing, Fallon-as-Vedder obviously still exists.